Equipment: Planewave 12.5" with SBIG ST 10XME camera. RGB Bin 2 at 20 min each w Lum Bin 2 also at 22 min. M92 (or NGC 6341) is a globular cluster of stars in the northern constellation of Hercules. It is at a distance of about 26,700 light-years away from Earth. 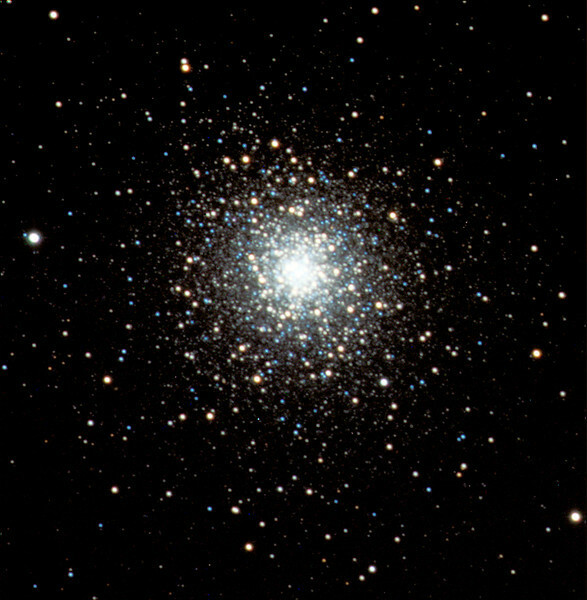 M92 is one of the brighter globular clusters in the northern hemisphere, but it is often overlooked by amateur astronomers because of its proximity to the even more spectacular M13 or Hercules Cluster. M92 is visible to the naked eye under very good conditions.